Students, young and old, are not, as many would believe, blank slates. This has been the teaching model for thousands of years. A “sage” stands on the “stage”, lectures on one or more topics, and expects the students to learn everything. Unfortunately, as we’ve realized, this is not the best way to teach and does not resemble the best practices established by decades of research in the field of education. Technology has long been considered the panacea for educating the young generation. It, too, has failed to generate enthusiasm among the young minds, though it’s a very useful medium if used the right way. Technology has never been the solution. Engagement, motivation, and pedagogy are more important factors. There are socioeconomic, family, and home atmosphere factors too but those are incredibly difficult to address. Today, I came across a YouTube video (embedded below) created by Derek Muller. He has a PhD in “Designing Effective Multimedia for Physics Education” (thesis). His research basically supports my argument above. I also read an article by Stanford University Mathematician, Dr. Keith Devlin. Both commented on Khan Academy’s science and math videos, respectively, and the reasons these videos are not the solution to the problems that plague our education system. We look for heroes in society because we can’t be one ourselves. And when we find one, we cheer and support him that creates a hype that attracts more cheer. I’m not against Khan Academy or other technology-based education companies. They have real value for many students, but they are not going to be the saviors of the education system unless we stop believing the hype and focus on the real issues. Khan Academy: Good, Bad, or Ugly? “The Audrey Test”: Or, What Should Every Techie Know About Education? I’m not a prolific reader but I still read a lot. We didn’t have computers when I was in school. There were massive mainframes in my college that I used (rather, had to use) during computer classes or projects. Even after I had several laptops at home, I preferred to purchase physical books. Last year, I bought an Amazon Kindle. 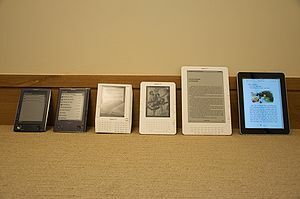 It is a great device for reading novels or other text-heavy books. I read only one book on my Kindle. I then bought a Kindle Fire, which is a good device for a quick look at Facebook and email, or Web surfing, but it’s not suitable for reading. A few people I know read books on their iPads. There are many books currently available and many more, including text books, are coming to the iPad. I could never make the switch from a print book to an ebook, though my professional career heavily involves developing ebooks. The tactile feel of the print book is amazing. I think this, subconsciously, is the main reason I love print books. I like organizing my books on the bookshelves. It just looks fantastic. I feel proud. I will pass on my collection to my kids. Usability research has proved that reading a print book is faster compared to reading on a computer. However, other studies suggest it’s not statistically significantly slower on an iPad. Reading a print book is comforting to the eyes. Working on a computer the whole day strains my eyes and mentally exhausts me. The last thing I’d do at home is read on a digital screen. The iPad however, people say, doesn’t strain the eye. I don’t believe it. There are other benefits to a print book (but those are not the reasons for my preference). You can fling one across the room, aiming, as Mark Twain liked to do, at a cat. It’s easy on the hands. It’s not possible to hold the iPad with one hand for long. It can be dropped without any damage. Good for kids (and some grownups). I was surprised to learn that it’s easier to remember things read on a print book than an ebook. There is not much evidence but the reason cited by a neuroscientist seems to be plausible. In a research study sponsored by my employer, two professors from James Madison University concluded, among other findings, that pdf ebooks and print books produce the same scores on quizzes, but the time and effort expended is more with the ebooks. Also, the students multitask more if the e-device for reading is also the same as they use for social networking. I think nobody has cracked the effective ebook code just yet. In my household, using digital medium for studies is a strict no-no. Kids have to use the Web for search and many other curricular activities, but when it comes to reading/learning, there is no substitute for a print book. 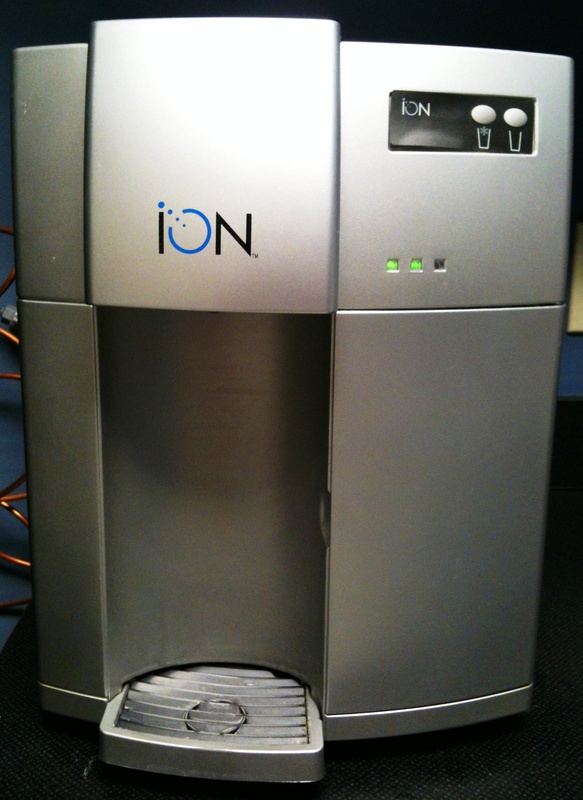 We have a nice water dispenser in our office. There are two silver buttons and three LEDs on the machine. Pressing the buttons dispenses water. The lights are mostly green, but sometimes turn red when the dispenser doesn’t work. There is a star in the glass below the left button. What does it signify? I have no idea. Is it cold water or hot water? 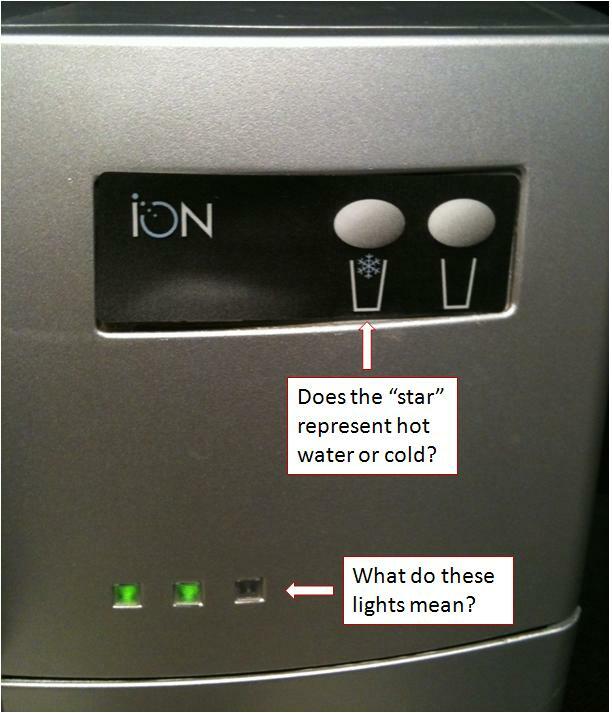 It turns out that the left button is for normal temperature water and the right button is for cold water. In the absence of a standard convention, why not just label the buttons “Normal” and “Cold”? There are three LEDs but only two are always lit green. Again, nobody knows why there are three LEDs and what they tell us, the regular users. 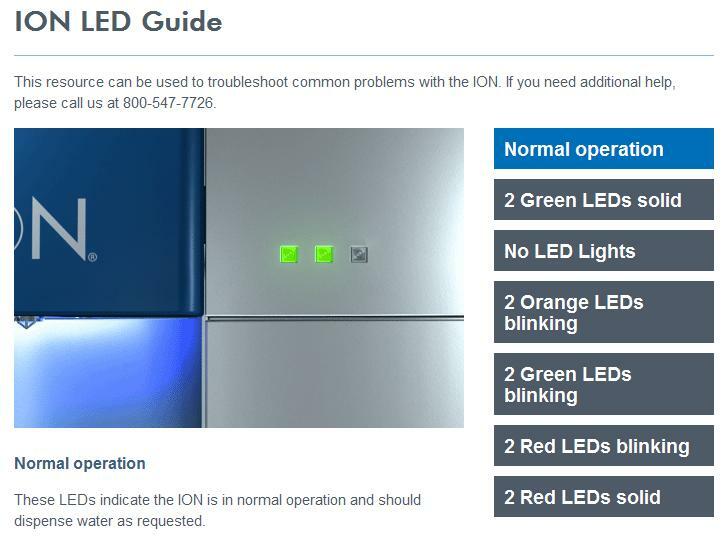 I went to the manufacturer’s Web site and found this “ION LED Guide“. I do not have any issues with the manual. It is useful for the maintenance personnel. But why do these lights prominently appear on the front of the machine? Good design doesn’t force the users to think before interacting with a physical device or a Web site. This water dispenser is a useful machine. It looks beautiful. However, the poor design of the buttons and the LDEs makes people think and yet, they cannot figure out the logic. And that, in my opinion, is poor design. Update (3/12/2012): I’d written this post on 3/1/2012. 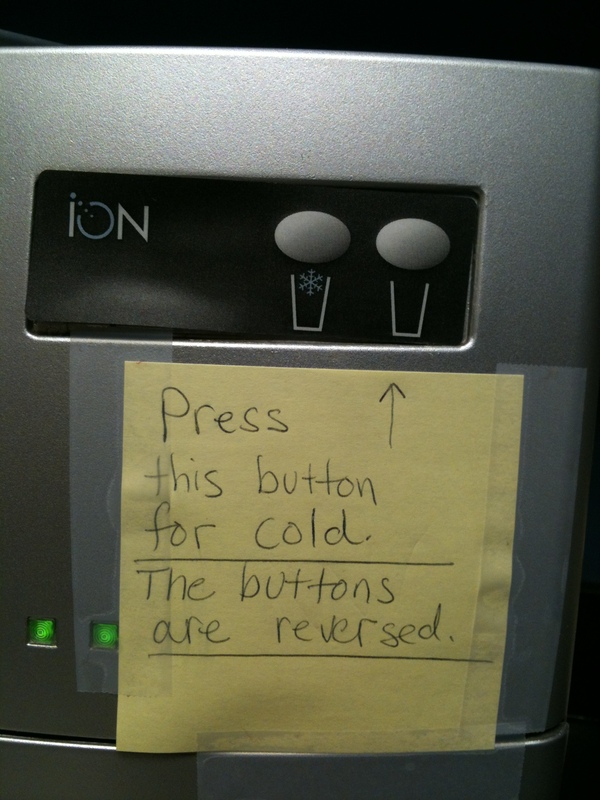 On the morning of 3/12/2012, I found this message taped to the water dispenser. Funny?